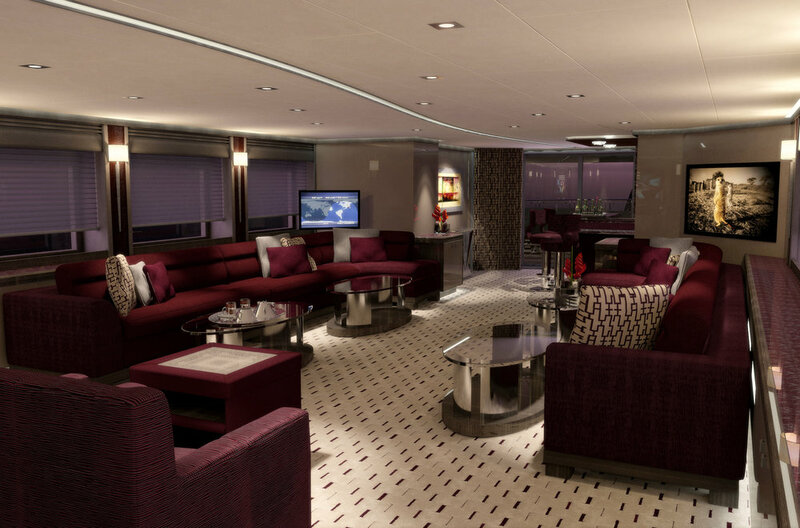 Creating exclusive interior environments for yachting, residential and aircraft clients worldwide. Since 2001, Karen Lynn Interior Design has been creating luxurious one of a kind custom interiors on behalf of an international clientele. 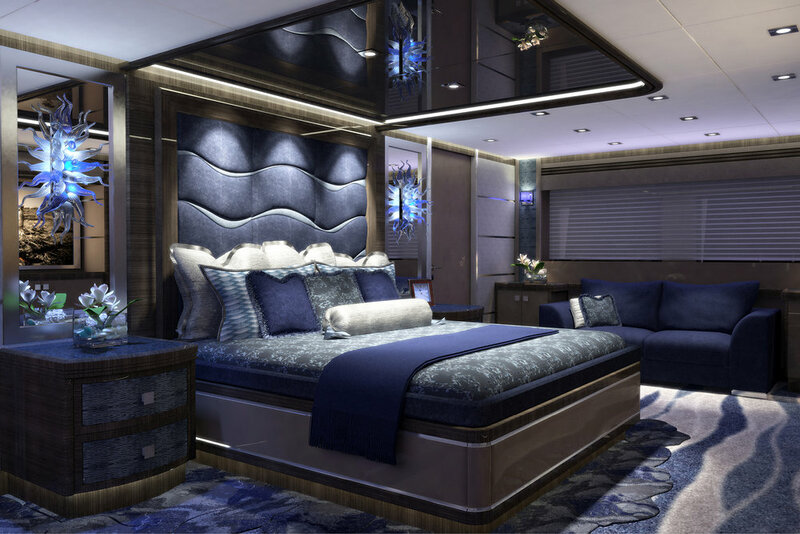 Our specialties include yacht interior refits and yacht new construction, exclusive residential properties and private aircraft interior design projects. Our mission is to provide a friendly, professional, personalized approach to each and every Client and project with meticulous attention to detail. We understand that it is our Clients' vision and style we are reflecting in a project, in addition to meeting their timelines and budgetary requirements. Our goal is to orchestrate beautiful, unique, and high quality interior design projects and satisfy our Clients' expectations every step of the way. We are a full service design firm specializing in CADD architectural interior design services and interior project management. We coordinate our various trades and vendors and handle all the behind the scenes busy work so our Clients can relax and simply enjoy the design transformation process. Whether working on a long term or short term project, we can customize our approach to meet your needs and projects requirements. In addition, for those Clients who wish to have the small fine details taken care of, we offer our turn key design services to Clients worldwide. 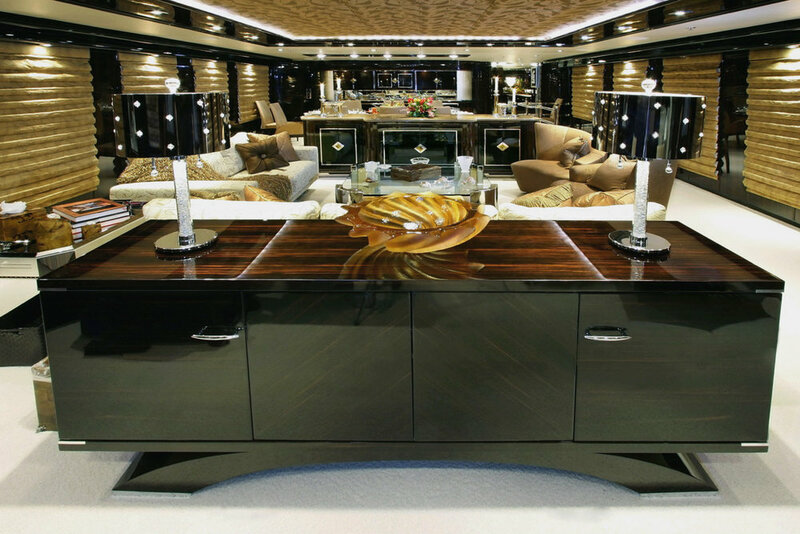 With over 18 years of extensive yacht refit interior design and project management experience, we can tailor our services for each Clients depending on what the projects requirements are. We can provide interior design services only or provide totally turn key interior design and management services for those Clients who wish to have everything handled for them. 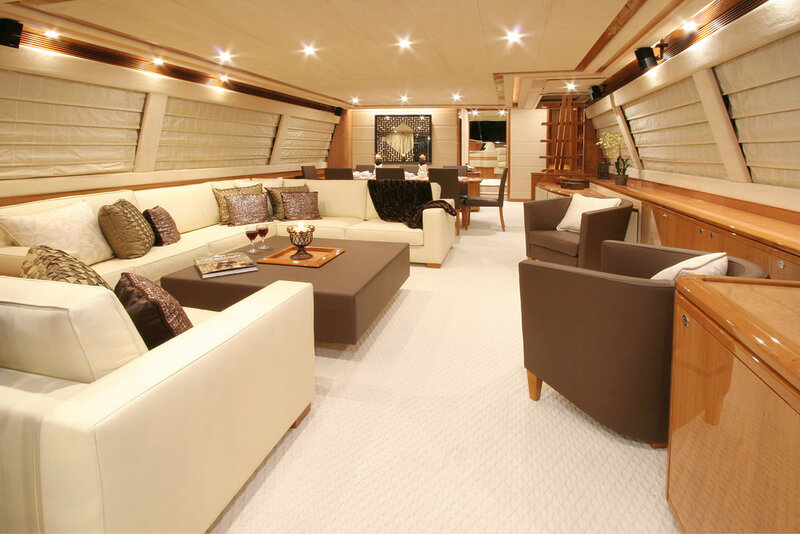 We can also work on yacht refits in other parts of the world and are familiar with many of the refits yards internationally. 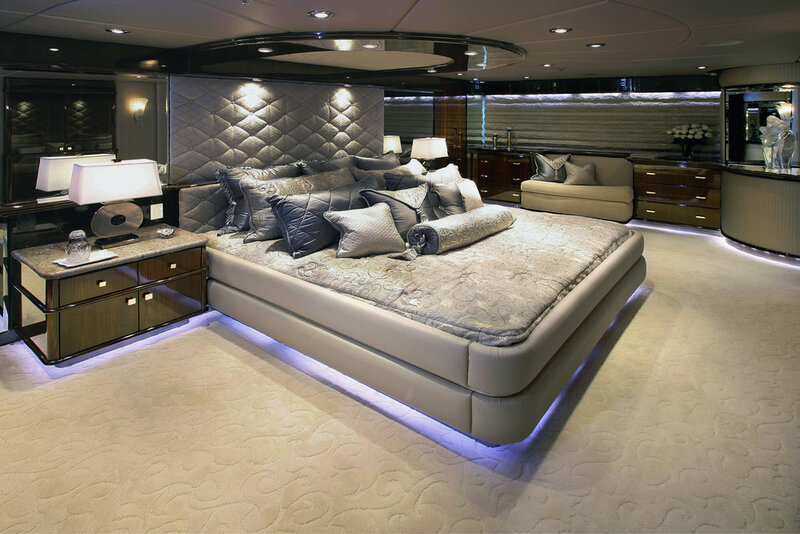 We can do extensive refits which involve extensions and moving bulkheads and major construction as well as just interior refreshes that involve only furnishings and décor. Our residential interior design services include projects which are being built from the ground up as well as renovation projects. We can interface with your builder, contractor and architect to meet the projects requirements. We can provide a full set of interior design specs as well as a full set of interior design drawings. Our services include space planning, furnishing, finishes, flooring selections, wallcoverings selections as well cabinetry and millwork design and selections, and of course plumbing, lighting and stone selections. We work with Clients internationally as well on our residential projects. 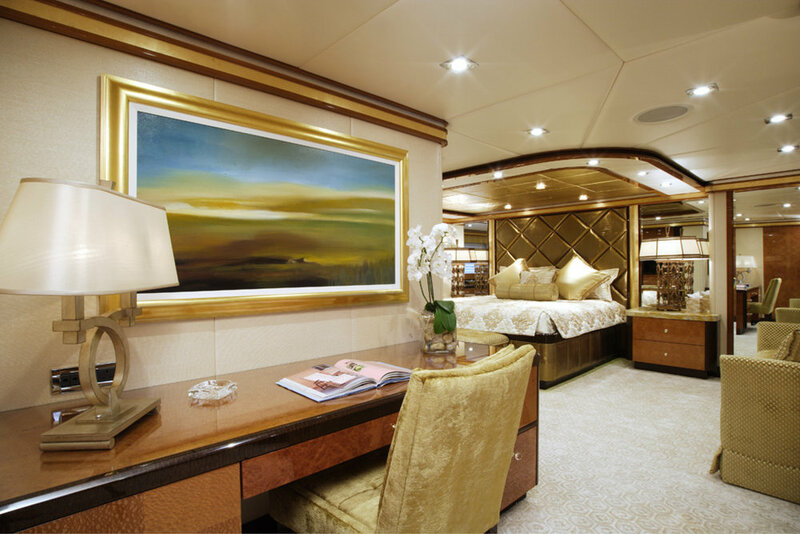 Whether PART 91 or 135 Charter Certificate, Karen Lynn Interior Design can tailor your aircrafts interior design for the projects requirements. We provide full service interior design and engineering services which meet FAA requirements as well as burn testing and certification for log book entry. We can work with any aircraft manufacturer on a new aircraft or for refurbishments in any MRO or FBO of your choice. We can provide materials and finish selection, seat design and mock up services,as well as carpet, plating, upholstery and refinishing, MSA window shades, lightweight stone and more. "Karen did an excellent job refurbishing my 2 Gulfstream aircrafts. She saved me hundreds of thousands of dollars on the design work, labor and burn testing by not having to do the work in a FBO or MRO. She assisted my director of maintenance on the return to service paperwork and log book entries. I sold the planes shortly after and made an incredible profit and I believe Karen's interior work was an important part of the deals and an attractive selling point for my buyers. Very grateful to Karen!"